File contains a letter from Mary Dobie to James Dinwiddie. 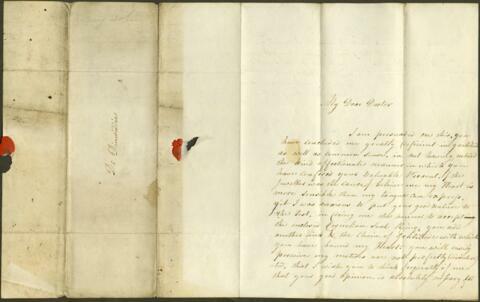 In the letter, Dobie thanks Dinwiddie for a Carnelian seal ring he sent to her as a gift. The letter was likely written sometime in the 1810s.